PENANG MALAYSIA – July 2018 – ViTrox Technologies proudly announces the launch of V-ONE version 3, a more advanced technology that doesn’t just offer data-driven decisions in the manufacturing process by allowing stakeholders to remote, visualize, monitor, control and implement condition-based alerts, but with an additional function such as e-ticket feature that works through desktop and mobile app as well. The official launch date of latest V-ONE is on 2nd August 2018. With the aim of providing solutions to the Industrial 4.0, ViTrox believes this newest V-ONE would greatly optimize the manufacturing process in real time basis. As the product highlights the five key focuses such as technology innovation, productivity, product automation improvement, false fail reduction, and open and interoperability, it is certain that the latest mobile app version with advanced ticketing feature would complement the above goals in no time. When there are various requests on your machine, the user may create a new ticket on the V-ONE platform. There are a few customized e-ticket templates provided, getting the V-ONE experts to build new templates based on different needs is allowed too. Users have the freedom to request the responsible engineers to work on the reparation. Once the ticket has submitted, the engineers, on the other hand, will receive the ticket notification and run the machine checking and troubleshooting instantly. After the issue has resolved, the engineers will indicate some remarks to the users by sending a ticket reply. The users are then free to ‘add comments’, ‘mark as monitoring’ or ‘mark as closed’ depends on the progress of the reparation. ViTrox ensures the new features of V-ONE will elevate the users to no touchline and smart manufacturing operation effectively. In conjunction with the launch of latest V-ONE on the global market, ViTrox is more than excited to conduct the first webinar session online, entitled “V-ONE, Powering The Factory of Future” to help users understand the usage and the characteristics of the product on 2nd August 2018 (Thursday), at 2 pm- 3 pm SGT. If you have wrestled over the overwhelming defects on your inspection system and the waste of time and human resource due to that issue, you are encouraged to join this webinar talk deliver by YH Khoo, the R&D Manager of V-ONE. 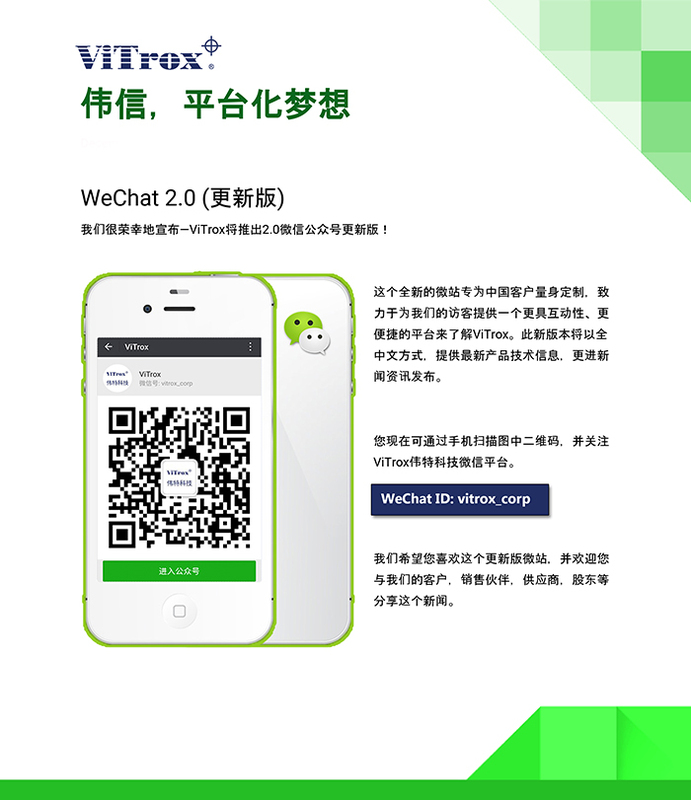 Throughout the webinar, the audience is able to learn a few outcomes, such as “ViTrox Industry 4.0 initiative and focus”, “ViTrox roadmap toward Industry 4.0 development”, “V-ONE application introduction”, and “M2M communication including smart conveyor, pick and place projects, and oven data monitoring”. The audience is encouraged to register themselves beforehand through: http://www.v-one.my/webinar-speaker to secure their access to the webinar session. For those who are keen to understand more about V-ONE before the webinar, you may contact the customer care center at +604-5459988 (ext: 1881, 1882), email your inquiries to cc-vone@vitrox.com, or visit the product website at http://www.v-one.my. We look forward to seeing your participation soon!